IBM introduced a solution that combines security intelligence with big data analytics capabilities for both external cyber security threats and internal risk detection and prevention. The goal is to allow security analysts to extend their analysis well beyond typical security data and to hunt for malicious cyber activity. 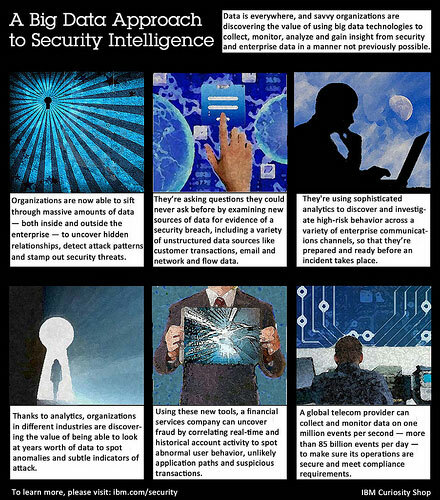 The IBM Security Intelligence with Big Data solution combines real-time correlation for continuous insight, custom analytics across massive structured data (such as security device alerts, operating system logs, DNS transactions and network flows) and unstructured data (such as emails, social media content, full packet information and business transactions), and forensic capabilities for evidence gathering. IBM said this combination provides deeper insight into advanced persistent threats, fraud and insider threats. IBM cited the Depository Trust & Clearing Corporation (DTCC) as a potential beneficiary of this big data cyber analysis approach. "As the sophistication and technological means of cyber-criminals increase, the financial industry and government need to move to a risk-based framework that incorporates the dynamic nature of the threat landscape," said Mark Clancy, CISO, Managing Director, Technology Risk Management, DTCC. "We need to move from a world where we 'farm' security data and alerts with various prevention and detection tools to a situation where we actively 'hunt' for cyber-attackers in our networks. IBM's Security Intelligence with Big Data solution gives us a practical way to gain visibility across our environment. We're gaining real-time security awareness and meaningful insight into historical activity across years of diverse data." 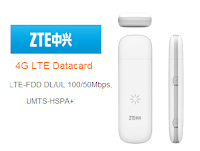 China Mobile completed a carrier aggregation test in a commercial environment in partnership with ZTE. Carrier aggregation, which is a core component of LTE-Advanced, combines two or more carriers into one channel in the same or different frequency bands. The test took place in an outdoor TD-LTE network environment and achieved a peak single-user download rate of 223Mbps at an uplink and downlink sub-frame ratio of 1:3. The special time slot ratio during the test was 10:2:2. The test also utilized carrier aggregation (20M+20M) technology to verify key technical points like cell peak rate and mobility. Driven by improved Network sales primarily in North America, Ericsson reported Q4 2012 sales of SEK 66.9 billion (US$10.52 billion), up 5% year over year and up 23% over Q3 2012. However, there was a net loss of SEK 6.3 billion (US$0.99 billion) due to the restructuring charges at ST-Ericsson. Various options are still being considered for dealing with ST-Ericsson. "Our segments showed mixed developments during the year with strong growth in Global Services and Support Solutions, while Networks had a more challenging year. Support Solutions went from losses in 2011 into profitability and together with Global Services represented close to 50% of Group sales in 2012, compared to 42% in 2011," says Hans Vestberg, President and CEO of Ericsson (NASDAQ:ERIC). "During the year profitability was negatively impacted by operating losses in ST-Ericsson, the ongoing network modernization projects in Europe as well as the underlying business mix, with a higher share of coverage projects than capacity projects. With present visibility of customer demand, and with the current global economic development, underlying business mix is expected to gradually shift towards more capacity projects during the second half of 2013.
euNetworks, which operates 13 metro fiber networks in key European cities, has been selected as the exclusive supplier of fiber connectivity to Telehouse Deutschland, one of the largest data centers in Germany. euNetworks has delivered dark fiber connectin the Telehouse facility outside of Frankfurt to DE-CIX, which is the Internet exchange linking over 400 domestic and international ISPs and carriers. euNetworks operates a dense, fiber metro network in the city of Frankfurt. Russia’s largest cable TV operator, National Cable Networks (NCN), part of the OJSC Rostelecom group has deployed Alcatel-Lucent's 100G technology to support higher levels of traffic across its Moscow network due to the installation of public safety video surveillance cameras. NCN will use its network to carry video feeds from the surveillance cameras installed in porches, courtyards and other public places, to the Moscow Department of Information Technology’s data processing center. Alcatel-Lucent supplied 100G network infrastructure spanning both IP/MPLS and optical domains, including 100G transponders on the 1830 Photonic Service Switch (1830 PSS). JDSU reported net revenue of $429.4 million and net income of $4.1 million, or $0.02 per share. Prior quarter net revenue was $420.9 million, with a net loss of $(11.6) million, or $(0.05) per share. Net revenue for the fiscal 2012 second quarter was $409.3 million, with a net income of $(10.2) million, or $(0.04) per share. "JDSU delivered a strong fiscal Q2, with revenue at the top of our guidance range and operating margins exceeding expectations across all three business segments,” said Tom Waechter, President and CEO of JDSU. "We are pleased with the progress we’ve made in aligning our product portfolio with customer spending priorities, resulting in a high percentage of revenue from new products and a positive impact on financial results. We are well-positioned for growth opportunities in 2013." For Communications & Test product revenue was driven by demand for Ethernet, mobility, 100G and cloud solutions. 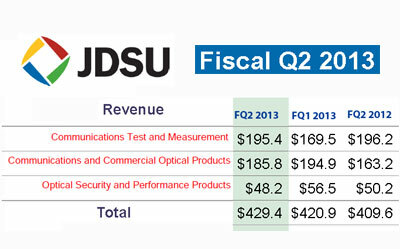 For Optical, JDSU's total ROADM revenue accounted for 20% of optical revenue compared to 24% in the previous quarter as a result of the VMI transition and timing of key customers. 40G and 100G coherent components and modules are ramping programs. Americas, EMEA and Asia-Pacific represented 49.9%, 23.8% and 26.3%, respectively, of total net revenue for the quarter. JDSU held $740.2 million in cash and investments and generated $59.4 million of cash from operations for the quarter ended December 29, 2012. 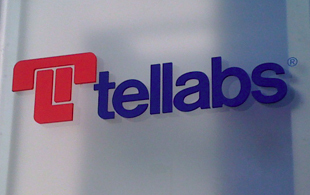 Tellabs reported Q4 2012 revenue of $242 million, compared with $317 million in the year-ago quarter. There was a net loss (GAAP) of $23 million or 6 cents per share, compared with a net loss of $5 million or 1 cent per share in the fourth quarter of 2011.
cents per share in 2011. “Over the last quarter, Tellabs initiated a review of its strategy, product portfolio and cost structure,” said Dan Kelly, Tellabs CEO and president. “Based upon our analysis of ROI, customer needs and market conditions, we are discontinuing development of the Tellabs 9200. We will reduce our expenses, which will affect about 300 people during 2013. The Tellabs 9200 is an advanced edge router featuring up to 11.2 Tbps capacity per chassis. It leverages a "SmartCard" architecture where the service intelligence is placed on each interface card, providing fine grained visibility and DPI-based traffic management on the card, instead of requiring separate Ethernet cards, Mobile Packet Core cards and DPI cards in each chassis. The attacks originated from compromised university servers that the New York Times claims were previously used by hackers associated with the Chinese military. The intrusion most likely originated as a spearfishing attack. The Times hired computer security experts at Mandian to investigate the attacks. AT&T monitored and confirmed the attacks. The Wall Street Journal also confirmed that it has been the target of similar intrusion attacks. Narus, a provider of big data analytics for cyber security, named John Trobough as its new president. Trobough previously was president of Teleca USA, a leading supplier of software services to the mobile device communications industry and one of the largest global Android commercialization partners in the Open Handset Alliance (OHA). He also held executive positions at Openwave Systems, Sylantro Systems, AT&T and Qwest Communications. Narus, which is a subsidiary of Boeing, is based in Sunnyvale, California. "The Narus team is exceptionally innovative and passionately dedicated to delivering the next generation of cybersecurity software with a focus on Cyber 3.0, where the semantic Web and cyber intersect," said Trobough. ZTE introduced a new ultra-thin 3G datacard measuring only 6.8mm in thickness. The "Chewing Gum" device, which the company calls the "thinnest data card in the world", supports top downlink HSPA+ speeds of 21 Mbps. Preconfigured software enables it to connect to the network in just under 15 seconds. It supports multiple operating systems (including Win8) along with IPv6. PMC-Sierra reported net revenues of $129.4 million for Q4 2012, a sequential decrease of 2 percent compared to $131.7 million in the third quarter of 2012, and a decrease of 15 percent compared to $152.6 million in the fourth quarter of 2011. Net income (GAAP) was $11.1 million, or $0.05 per diluted share, compared to GAAP net loss in the third quarter of 2012 was $274.4 million, or $1.31 per share. For the full year ended December 29, 2012, net revenues were $531 million compared to $654.3 million for the year ended December 31, 2011, a decrease of 19 percent year over year. GAAP operating loss for the full year 2012 was $281.7 million compared to GAAP operating income of $52.8 million reported in the year ended December 31, 2011. “We are pleased to report that our fourth quarter results were at the high end of our outlook, despite continued headwinds in the macro environment," said Greg Lang, PMC President and Chief Executive Officer. Cavium reported Q4 2012 revenue of $66.4 million, an 8.7% sequential increase from the $61.1 million reported in the third quarter of 2012. There was a net loss (GAAP) of $78.8 million, or $(1.56) per diluted share compared to $8.1 million, or $(0.16) per diluted share in the third quarter of 2012. 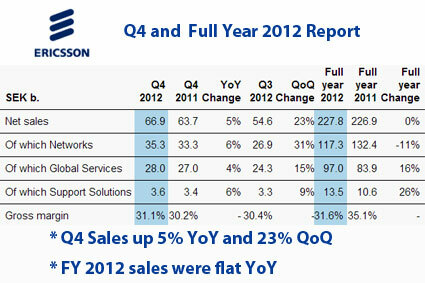 Gross margins were 62.3% in the fourth quarter of 2012 compared to 59.4% in the third quarter of 2012. Cavium established a full valuation allowance against its US net deferred tax assets, which resulted in a one-time, non-cash charge of $43.5 million in the fourth quarter of 2012. Had Cavium not established the valuation allowance, it would have recognized a tax benefit of $2.1 million. This tax benefit along with the $43.5 million valuation allowance, produced a net tax expense of $41.4 million in the fourth quarter of 2012. The decision to establish the valuation allowance was based on an assessment made at year-end that considered factors such as 2012 actual results as well as projected US income, and does not preclude Cavium from using its loss carry-forwards or other deferred tax assets in the future. Cavium recently restructured its Software and Services group. As a result of performing an annual goodwill impairment test in the fourth quarter of 2012, and the impact of the Software and Services group restructuring, Cavium determined that Software and Services goodwill and certain intangible assets were impaired and recorded a $33.3 million, non-cash, goodwill and intangible asset charge in the fourth quarter of 2012. AppliedMicro reported net revenues of $51.7 million for the quarter ending 31-Dec-2012, up approximately 12% sequentially and down approximately 8% year over year. There was a GAAP net loss was $71.6 million or $(1.08) per share compared to net loss of $21.6 million or $(0.33) per share for the previous quarter. AppliedMicro also reported that performance simulations of its ARM 64-Bit X-Gene processor have significantly exceeded the company's expectations and resulted in an increase in the range of its estimated milestone-based payments under the Veloce merger agreement. The purchase price is now estimated to be in the range of $117 to $178.5 million, depending upon the achievement of multiple product development cycles and technical performance results. "In the third quarter we believe we made giant strides in our product development efforts by taping out our 40nm ARM 64-Bit X-Gene server on a chip. We also taped out a test chip for our upcoming 28nm product in January. While we await final benchmarks from the actual silicon, the results from highly correlated simulations indicate that the 40nm chip performance may far exceed our original expectations. In fact, we believe the networking performance of the chip suggests that we may be able to further penetrate into Enterprise class solutions. I am also very pleased with the improvements in our base business, reflected in continued quarter over quarter revenue growth," said Dr. Paramesh Gopi, President and Chief Executive Officer. Bob Gargus, Chief Financial Officer commented, "While we are very excited with the milestones in our ARM 64-bit product strategy, we also had a very solid quarter Company-wide and beat expectations. We feel we are making great progress towards our goal of attaining break even on a non-GAAP basis for the March quarter." 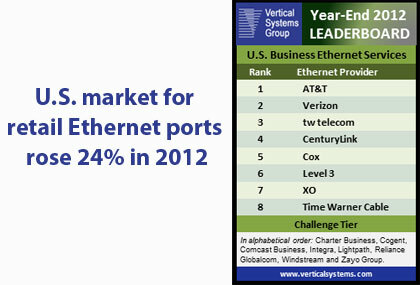 The U.S. market for retail Ethernet ports grew 24% in 2012 as the rankings of top providers shifted amidst increased price competition and network expansion, according to Vertical Systems' newly released U.S. Business Ethernet Leaderboard. "The U.S. market for retail Ethernet ports rose 24% in 2012. The year was characterized by major backbone upgrades, new market rollouts, price wars and channel expansion. Ethernet access to IP VPNs and Cloud connectivity were the fastest growing applications," said Rick Malone, principal at Vertical Systems Group. "Position changes on our Leaderboard include Level 3 moving up two spots, jumping ahead of XO and Time Warner Cable. AT&T and Verizon remain the top two providers, but not without challenges. AT&T experienced slower overall growth in Ethernet - especially in the second half of the year - and derived more Ethernet sales from wholesale partners. Verizon remained number two on our Leaderboard despite a challenging fourth quarter which resulted in loss of market share." The top Business Ethernet providers, in rank order based on port share as of the end of 2012: AT&T, Verizon, tw telecom, CenturyLink, Cox, Level 3, XO, and Time Warner Cable. Port shares were calculated using the base of enterprise installations of Ethernet services, plus input from Vertical's independent surveys of Ethernet providers. The Leaderboard threshold is four percent (4%) or more of billable port installations. Other providers selling Ethernet services in the U.S. are segmented into two tiers as measured by port share. The first or Challenge Tier for 2012 includes the following eight companies (listed here in alphabetical order): Charter Business, Cogent, Comcast Business, Integra, Lightpath, Reliance Globalcom, Windstream (includes Paetec) and Zayo Group (includes AboveNet). The second or Market Player tier covers other providers offering Ethernet services in the U.S. The Market Player tier includes the following companies (listed in alphabetical order): Alpheus Communications, American Telesis, Bright House Networks, BT Global, Cincinnati Bell, Consolidated Communications, EarthLink Business, Expedient, FairPoint, FiberLight, Fibertech, Frontier, Hawaiian Telecom, IP Networks, Lightower, LS Networks, Lumos Networks, Masergy, Megapath, NTT America, Orange Business, Sidera Networks, Spirit, Sprint, SuddenLink, TDS, US Signal, Virtela and others. Cisco introduced two Unified Access networking products featuring a new Unified Access Data Plane (UADP) ASIC designed to terminate wired and wireless traffic. The UADP ASIC features a programmable data plane specifically for software-defined networking services. Cisco said its new ASIC also provides a foundation for converged APIs across wired and wireless. 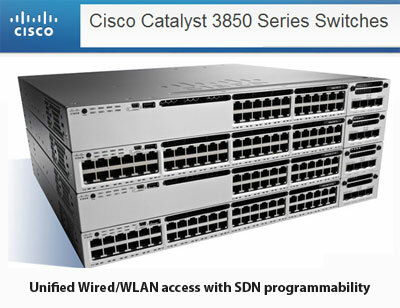 Cisco Catalyst 3850 Unified Access Switch with built-in wireless LAN (WLAN) controller functionality. The Catalyst 3850 offers 24/48 GE switch ports, 480 Gbps of stacking, Power over Ethernet Plus, Energy Efficient Ethernet, 10G uplinks, and Flexible NetFlow on all ports. It provides built-in wireless controller capabilities with 40 G wireless throughput, support for 50 access points and 2000 wireless clients per switch or stack, and support for 802.11ac. Cisco said the programmable features of the ASIC make the Catalyst 3850 the foundation of converged wired/wireless SDN deployments. Cisco 5760 Unified Access WLAN Controller appliance featuring IOS-based software and 60 Gbps performance. It is designed for 802.11a in mid-to-large campus deployments. It can support up to 1000 access points and 12,000 clients per controller. Other features include Flexible NetFlow, Advanced QoS, and downloadable access control lists. Cisco said its strategy for Unified Access is to bring wired, wireless and virtual private networks (VPNs) into a single, highly secure network infrastructure based on one policy source and one management solution for the entire campus network. The company is releasing onePK, a developer toolkit that allows applications to receive information from Cisco switches and routers with a programmable data plane. The Physical and Link Layer Working Group started a new project to define a module interface Implementation Agreement targeting 400G long-haul transmission. The Carrier Working Group members agreed to provide Carrier requirements on Transport SDN, detailing transport functions for SDN use cases. A project on OIF Neighbor Discovery plans to identify discovery requirements by OIF Carriers and expedite the deployments of OIF E-NNI and UNI standards in carrier optical transport networks. The OIF previous OIF Global E-NNI Interoperability Tests and carrier E-NNI field trials, have shown that manual configuration of E-NNI adjacency is a time-consuming and error-prone process. In addition, Hans-Martin Foisel of Deutsche Telekom was re-elected as the Carrier Working Group chair and will serve a two-year term; and with a Board seat opening due to a resignation, Vishnu Shukla of Verizon will move to the role of president and Dave Brown of Alcatel-Lucent will serve the remainder of the board term vacated. América Móvil has selected Alcatel-Lucent to build a 17,500-km submarine cable linking the Americas. The AMX-1 System will connect seven countries with eleven landing points: Miami and Jacksonville (United States), Barranquilla and Cartagena (Colombia), Fortaleza, Salvador & Rio de Janeiro (Brazil), Puerto Plata (Dominican Republic), Cancun (Mexico), San Juan (Puerto Rico) and Puerto Barrios (Guatemala). The system is optimized for 100G wavelengths and an ultimate carrying capacity of 50 Tbps. Construction is underway and activation is expected in late 2013. Alcatel-Lucent is supplying OALC-4 cable optimized with coherent submarine fiber (CSF), repeaters, branching units and the 1620 Light Manager (LM) submarine line terminal equipped with Advanced Coherent technology. 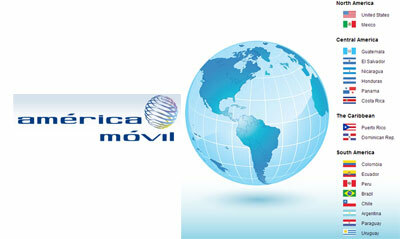 América Móvil and its affiliates currently serve 256 million wireless subscribers and 62 million fixed lines. Interoute, which operates a pan-European fiber network, 9 hosting data centers, 32 collocation data centers and a cloud services platform, launched CloudStore, an online marketplace aimed at accelerating ICT service delivery. Interoute CloudStore hosts the full spectrum of core ICT infrastructure, network, computing, communication and storage services needed to build sophisticated platforms. Enterprise IT departments, Software-as-a-Service (SaaS) developers, and even the largest websites can purchase Interoute’s network and infrastructure as a service through the CloudStore. 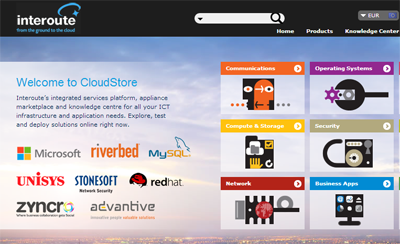 Interoute CloudStore also offers access to trusted appliance vendors, including Stonesoft and Riverbed, offering the cloud virtual equivalent of a firewall or load balancer. Interoute VDC is built into Interoute’s pan-European MPLS/IP network. "Interoute CloudStore is a game changer. It is the next generation of cloud computing; one that doesn’t compromise on data sovereignty, privacy concerns or performance. It essentially combines a seriously scalable integrated network, compute and storage infrastructure with all the appliances you need to run an IT environment. The difference with CloudStore is in the delivery. If you buy and run an enterprise application without the right platform and SLAs to support it, you are effectively placing the productivity and security of your business data in the wild. Appliance marketplaces perfectly complement the platform and are the future of the ICT purchasing model, but it is important for enterprises to understand what sits beneath them," stated Matthew Finnie, Interoute CTO. 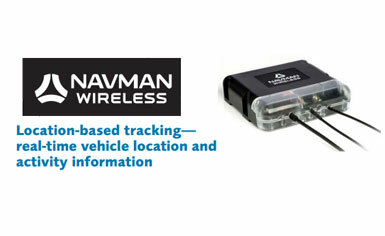 Danaher Corporation agreed to acquire Navman Wireless, a provider of GPS-based fleet and asset management technology, for an undisclosed sum. Navman's technology currently monitors more than 175,000 vehicles owned by over 14,000 organisations on five continents, making Navman Wireless one of the world's largest fleet management providers. The company reports five successive years of revenue and installed base growth. Danaher plans to operate Navman as a standalone company, retaining its brand, facilities and personnel. Navman is based in Glenview, IL. Some of Danaher's previous acquisitions in the networking field include: VSS Monitoring, Arbor Networks, Tektronix, Visual Networks, and Fluke. 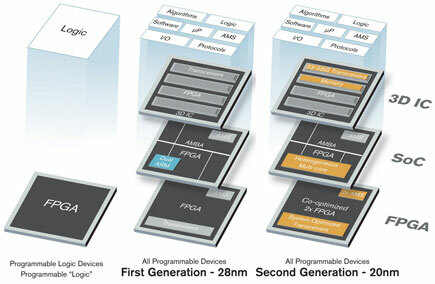 First Design Tools for 20nm -- the Xilinx Vivado Design Suite will support initial 20nm devices in March 2013. First 20nm Product Tape Out -- Xilinx expects to tape out its first 20nm product on TSMC's 20SoC manufacturing process during Q2 2013. Device samples are expected this year for strategic customers. First Ten Early Access Customers -- Xilinx is now engaging with the first ten customers on 20nm architecture evaluations and implementation activities. Xilinx said its 20nm All Programmable portfolio is optimized for bandwidth-intensive systems in wired and wireless networks, data centers, vision based systems, and other high performance applications. 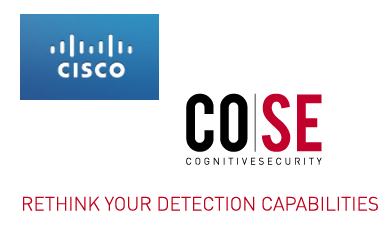 Cisco agreed to acquire Cognitive Security (COSE), a start-up focused on applying artificial intelligence techniques to detect advanced cyber threats. COSE leverages NetFlow/IPFIX inputs and Network Behavior Analysis in order fight against Advanced Persistent Threats (APT), exploit kits, zero-day attacks, molymorphic malware or trojans inside the client's network. COSE line of products integrate statistical analysis, autonomic/agent-based computing, ensemble classification, and game-theory techniques. COSE is based in Prague, Czech Republic. Sprint announced its support for an LTE acceleration lab in Tel Aviv in collaboration with the Israel Mobile & Media Association (IMA). The idea is to add significant momentum to the Israeli-based ecosystem of startups and developers by providing access to innovate on Sprint’s LTE network. "As a complement to our efforts to unlock innovation in the United States, this Sprint-sponsored LTE acceleration lab will allow startups and developers in Israel valuable access to dramatically speed up their time to market," said Stephen Bye, Sprint chief technology officer. Qualcomm reported revenue of $6.02 billion for the quarter ending 30-December-2012, up 29 percent year-over-year (y-o-y) and 24 percent sequentially. Net income was $2.20 billion, up 32 percent y-o-y and 42 percent sequentially. "We are pleased to report record quarterly revenues, Non-GAAP EPS and MSM chip shipments, driven by the growing global demand for smartphones and our industry-leading portfolio of 3G/LTE chipsets," said Dr. Paul E. Jacobs, chairman and CEO of Qualcomm. "Our broad licensing partnerships and extensive chipset roadmap, including our recently announced best-in-class Qualcomm Snapdragon 800 and 600 processors, position us well for strong growth, and we are pleased to be raising our revenue and earnings guidance for fiscal 2013." During the quarter, MSM chip shipments reached 182 million units, up 17 percent y-o-y and 29 percent sequentially. Broadcom reported net revenue of $2.08 billion for Q4 2012, a decrease of 2.3% compared with the $2.13 billion reported for the third quarter of 2012 and an increase of 14.3% compared with the $1.82 billion reported for the fourth quarter of 2011. Net income (GAAP) was $251 million, or $.43 per share (diluted), compared with GAAP net income of $220 million, or $.38 per share (diluted), for the third quarter of 2012 and GAAP net income of $254 million, or $.45 per share (diluted), for the fourth quarter of 2011. "Broadcom delivered record revenue in each of our three business groups and record cash flow from operations in 2012, reflecting our continued market share growth and strong economics." said Scott McGregor, Broadcom's President and Chief Executive Officer. "Based upon these results, Broadcom's Board of Directors today announced a ten percent increase in our dividend, consistent with our commitment to enhancing shareholder value." One year after launching its Carrier Ethernet 2.0 initiative, the Metro Ethernet Forum announced significant progress in its efforts to drive the next wave of Ethernet service delivery. Whereas the first generation of Carrier Ethernet standardized E-Line and E-LAN services, CE 2.0 standardizes Multi-CoS over eight interconnected services, including two versions of E-Line, E-LAN, E-Tree and E-Access. Newly defined Multi-CoS extensions ensure standardized performance objectives across geographic boundaries, resulting in improved QoS and optimized efficiency on a global scale. New interconnect specifications extend the reach between carriers, and new management specifications provide scalability and measurability not previously possible. A new Mobile Backhaul Implementation Agreement creates a standard for 4G mobile backhaul services through Multi-CoS-enable interconnects. At the Americas Ethernet Summit in San Diego, the MEF announced that the first twenty equipment vendors have been certified as Carrier Ethernet 2.0 compliant: Accedian, Altera, BTI Systems, Ciena, Cisco, Cyan, FibroLAN, Huawei, Infinera, Juniper Networks, MRV, Omnitron, Overture, PT Inovacao, Pulsecom, RAD Data Communications, Telco Systems, Tellabs, Transition Networks and Transmode. “CE 2.0 is a difficult accreditation to achieve. To be recognised as CE 2.0 certified, each company must pass a suite that totals 634 stringent tests. Over 155 companies are now certified for CE 1.0 and the adoption signs for 2.0 are exciting. 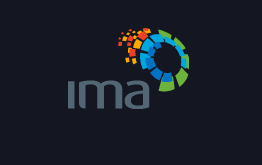 The demand for certified products and services is a driving force, and we expect a significant increase in service provider certifications not only from established markets, but also from developing economies in 2013,” stated Bob Mandeville President and Founder of test lab Iometrix, responsible for MEF’s testing process. “The main market drivers continue to dominate business: bandwidth growth, mobile data and LTE migration and the growth of public and private cloud computing,” stated Nan Chen, MEF President. Frost & Sullivan, Vertical Systems and Infonetics: Carrier Ethernet services will be a near $48+ billion services market by 2015. A lot of discussion is underway on how to leverage CE 2.0 for cloud services, including for data center interconnects and private-public cloud bursting. The fundamental building blocks are there but more work will be needed including specifying a path to software-defined networking through open APIs and Dynamic Responsive Ethernet (DRE) or Carrier Ethernet 4 Cloud (a draft document is underway to identify the attributes). CE 2.0's Multi-CoS capability is useful for small cell backhaul. Widespread rollout of small cells will need guaranteed bandwidth. Ethernet's 40th birthday is coming up this May. Watch for events from Metro Ethernet Forum, PARC and the Computer History Museum of Silicon Valley. 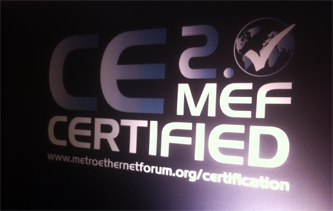 CE 2.0 Certification is built on MEF specifications and 1,000s of technical contributions. 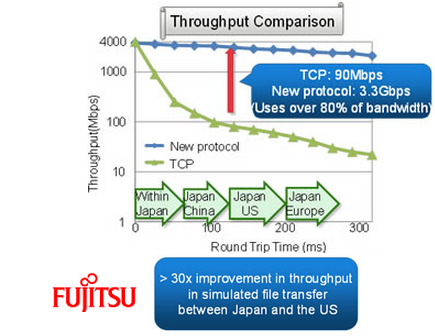 Fujitsu Labs has developed a new data transfer protocol that it claims delivers a 30x improvement in throughput over conventional transmission control protocol on long-haul connections between Japan and the U.S.
Fujitsu's protocol uses a proprietary retransmission method based on user datagram protocol (UDP). The protocol addresses the problem of UDP transmissions consuming excess bandwidth by performing a real-time measurement of available network bandwidth and securing an optimal amount of communications bandwidth without overwhelming TCP's share of the bandwidth. Existing IP applications do not have to be modified. Fujitsu said its new protocol can improve data transfer speeds between data centers in Japan and the US. It is also expected to help improve the usability of virtual desktops when accessing a virtual desktop located on a remote server using a low-quality communications environment. The company claims virtual desktop latency is reduced to 1/6 that of conventional TCP approach. Amazon Web Services introduced a highly scalable service for transcoding video files between different digital media formats in the cloud. 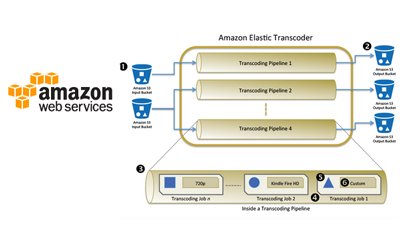 The new Amazon Elastic Transcoder enables content producers to convert their large high resolution “master” video files into smaller versions that are optimized for playback on websites, mobile devices, connected TV’s and other video platforms. Amazon said its new service manages all aspects of the transcoding process transparently and automatically. It offer transcoding presets that make it easy to transcode video for smartphones, tablets, web browsers and other devices. Amazon Elastic Transcoder offers pay-as-you-go pricing. Customers are charged based on the number of minutes they need to transcode and the selected resolution. There are no upfront fees or minimum commitments required. Amazon Elastic Transcoder is available in six regions: US East (N. Virginia), US West (Oregon), US West (N. California), EU (Ireland), Asia Pacific (Singapore) and Asia Pacific (Japan). 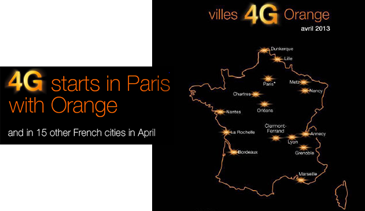 Orange officially launched commercial LTE service in the Paris Opera neighborhood and promised to cover the entire city of Paris by the end of 2013. Orange is also preparing to launch LTE in 15 other French cities in April. Orange is currently supporting 5 LTE smartphones: Samsung Galaxy S III 4G, Samsung Galaxy Note II 4G, Nokia Lumia 920, HTC One SV, and the Sony Xperia Z. In September 2011, ARCEP, the office telecoms regulator in France, awarded LTE licences to four operators to use the 2.6 GHz frequency band. 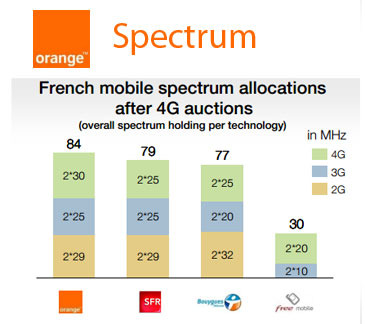 Orange France won a duplex frequency block of 20 MHz, for which the company bid the sum of €287,118,501. The company also holds 800 MHz spectrum. Orange said this position will enable it to deliver rates of up to 150 Mbps downlink. SFR launched its commercial LTE service in Paris La Défense. 4G service packages start at EUR 29 per month for 3GB. 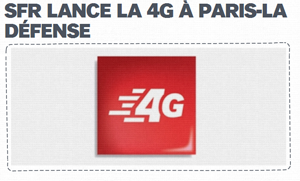 SFR currently offers LTE in six cities and four additional cities are slated open during the first half of 2013: Lille, Marseille, Strasbourg and Toulouse. Nokia Siemens Networks has been selected by SFR as radio supplier to implement its 4G LTE network and upgrade its existing GSM and 3G networks in major French cities. NSN will supply its Flexi Multiradio 10 Base Station as well as its Self-Organizing Networks (SON) solution. The contract also includes Nokia Siemens Networks’ NetAct network management system and a suite of associated software tools for consolidated configuration, monitoring, and network optimization across technologies. MTS, the leading mobile operator in Russia, has deployed ECI Telecom's Apollo Optimized Multi-Layer Transport (OMLT) platforms to extend the existing ECI’s DWDM backbone, enabling all advanced services, including 100G. The project links Moscow and Saint Petersburg. With more than 1,000 km, it has been operational since 2003, with both 2.5G and 10G. By adding Apollo OMLT shelves with 100G cards in add/drop points, MTS can leverage the already installed XDM shelves. 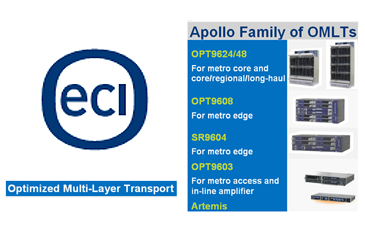 Specifically, MTS has deployed the Apollo OPT9624 to expand its cross-country DWDM backbone based on ECI optical platforms. The new Apollo DWDM network will enable MTS to provide advanced high capacity, long reach 100G services. It includes connection between core routers with 100G link. VMware reported Q4 2012 revenue of $1.29 billion, an increase of 22% from the fourth quarter of 2011, and net income of $206 million, or $0.47 per diluted share, compared to $200 million, or $0.46 per diluted share, for the fourth quarter of 2011. Revenues for all of 2012 were $4.61 billion, an increase of 22% from 2011. U.S.revenues for 2012 grew 22% to $2.23 billion from 2011. International revenues grew 22% to $2.38 billion from 2011. Looking ahead, VMware is forecasting annual 2013 total revenues to be in the range of $5.230 billion to $5.350 billion, an increase of approximately 14 to 16 percent from 2012, and annual license revenues are expected to grow between 8 and 11 percent. First quarter 2013 total revenues are expected to be in the range of $1.170 billion to $1.190 billion, an increase of approximately 11 to 13 percent from the first quarter 2012. Mavenir Opens VoLTE/RCS Centre in Cologne, Germany. Mavenir Systems has opened a VoLTE/RCS Centre of Excellence in Cologne, Germany to support European mobile operators implementing new technologies based on the 4G LTE standards. Mavenir already operates an EMEA headquarters in Reading, UK. "2012 was an eventful year for the mobile industry with the commercial launch of VoLTE and the very latest version of RCS. These developments herald the dawn of a new era in mobile communications and mark the beginning of a major phase of network investment and transformation as we move towards an all-IP infrastructure," said Pardeep Kohli, president and CEO Mavenir Systems. "The challenge for operators implementing LTE is being able to deliver services seamlessly to their customers using both 3G and 4G without affecting the consumer experience." AT&T has been selected by Dorel Industries to connect more than 40 offices and integrate its worldwide operations and multiple divisions. AT&T will interconnect sites in North America, Europe and Asia through AT&T MPLS-enabled Virtual Private Network (VPN) to enhance employee collaboration and productivity, providing access to shared resources across the organization. Dorel is based in Montreal, Canada. Its branded products include Safety 1st, Quinny, Cosco, Maxi-Cosi and Bebe Confort in Juvenile, as well as Cannondale, Schwinn, GT, Mongoose, IronHorse and SUGOI in Recreational/Leisure. AT&T's network is also helping Dorel converge its three operating segments worldwide – Juvenile, Recreational/Leisure and Home Furnishings – offering a secure and reliable environment for voice and data applications. Citing the likelihood of less construction revenue from its property development subsidiary, a continued decline in voice revenue, mandated tariff reductions as well as the mobile interconnection rate reduction imposed by Taiwan's regulatory authority, Taiwan's Chunghwa Telecom expects its overall revenue for 2013 to fall by NT$2.46 billion, or 1.1%, to NT$217.82 billion compared to the unaudited consolidated revenue for 2012. Electricity rates for the year are also forecast to rise. Growth areas offsetting some of these negative factors include mobile internet, Fiber broadband and ICT including cloud services. Capex for 2013 is budgeted to increase by NT$3.89 billion from 2012, to NT$37.15 billion, primarily related to the fiber broadband, mobile network, and cloud infrastructure build-outs. Spirent Communications introduced its "Axon" network and application testing platform for validating the performance of applications, network devices and IT services. 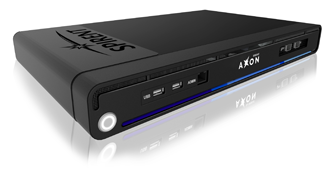 Spirent's Axon includes a pre-built library of test cases. This enables the user to build a “playlist” of the traffic types to be tested. “IT teams know they need to incorporate proactive validation into their daily activities, however sophisticated professional testing platforms are typically out of reach for all but the largest IT organizations,” said Tim Jefferson, general manager for Enterprise Solutions at Spirent. Lyatiss, a start-up based in Mountain View, California with R&D in Lyon, France, unveiled its CloudWeaver network intelligence tool for optimizing application performance in public clouds. The Lyatiss CloudWeaver is an orchestration tool that gathers intelligence on cloud performance and network resources to help users optimize their application performance. Lyatiss is currently launching a public beta for Amazon Web Services users. 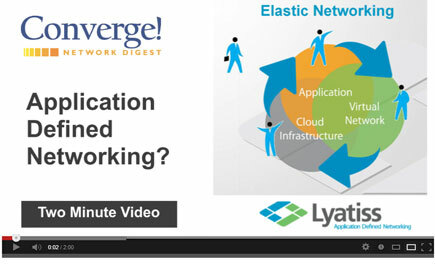 Lyattis sees a growing need for understanding and controlling the rapidly growing pool of virtualized network resources. 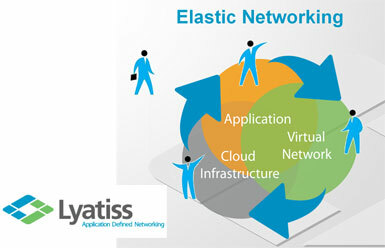 Application-defined networking (ADN) aims to accelerate and streamline movement of data throughout the entire virtual infrastructure of each application. Unlike SDN, which focuses on controlling the forwarding of individual packets within the network infrastructure, ADN orchestrates application flows – or the actual sequences of information exchanged. Lyattis levergages APIs so that application delivery and performance across public and private cloud networks are optimized, without compromising application portability or security. "As cloud applications incorporate rich services – video, gaming, real-time collaboration and big data – businesses deploying these mission-critical applications will run into a variety of issues, including unpredictable latencies and potentially disastrous cascading effects from bottlenecks, failures and cloud outages. In addition, they'll experience wasted capacity and spiraling costs resulting from overprovisioning," said Pascale Vicat-Blanc, CEO of Lyatiss. "Software defined networking (SDN) is not sufficient to address the predictability and performance issues encountered in current cloud applications, nor can it meet the need for infrastructure differentiation and software control. 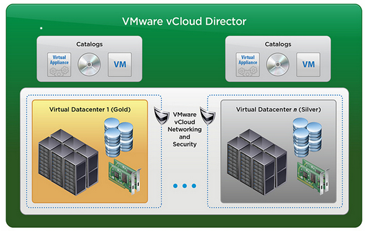 Instead, evolving to a complementary ADN solution, like CloudWeaver, will be required." • Map. Users can see where their virtual resources are located and how they are organized, how devices are talking to each other, and where hot spots and bottlenecks are being built up. • Build. Users can locate resources by selecting a provider and a region, provision and configure network services, interconnect easily and orchestrate heterogeneous resources. As a result, users can optimize and accelerate their cloud sourcing and avoid over or under-provisioning, as well as misconfigurations. • Operate. Users can have a better understanding of end-to-end performance and follow up on activities in terms of throughput and latency, and set up alerts to signal failures and path capacity limitations. • Analyze. Users can determine if and where the cloud network is inadequately provisioned or congested, if resources are properly located and configured, if jobs are well placed, and identify which component is responsible for increased latency. CloudWeaver also can anticipate problems, such as bottlenecks or cascading effect of undetected failures. • Fix. Users can fix failures, as well as provisioning or configuration issues, in minutes and activate the appropriate remediation workflows in a single click. • Program. Users can automatically capture the cloud network code in an XML-based virtual infrastructure description language (VXDL) so they can reuse or modify it offline. CloudWeaver also enables users to intuitively define minimum and maximum performance standards, program and enforce action plans for when those standards are not met. China Mobile transmitted a live video stream of the Xiamen International Marathon over its trial TD-LTE on January 5th to TV centers of China Central TV and Xiamen TV for live broadcasting. 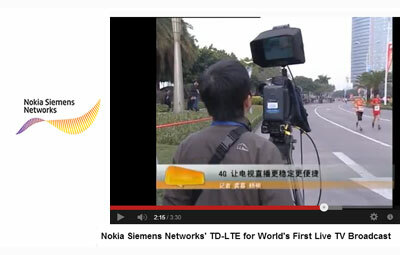 It was the first such live TV broadcast over TD-LTE. Nokia Siemenes Networks, which is the sole supplier of China Mobile's TD-LTE in Xiamen, said the high-definition (HD) video were transmitted with zero bit rate errors throughout the entire event from cameras on the move. Despite exceptional traffic and load conditions, there was no degradation in network performance, no packet loss and no delay during the two and a half hour live transmission.stable uplink throughput of 5 Mbps was maintained. For the TD-LTE network, Nokia Siemens Networks deployed its Single RAN Advanced platform, based on its high-capacity Flexi Multiradio 10 Base Station, to China Mobile’s TD-LTE pre-commercial trial network in Xiamen. The company also provided its Liquid Core-based Evolved Packet Core (EPC) platform, including Flexi NS (Network Server) and Flexi NG (Network Gateway). In addition, the company provided its NetAct network management system, enabling consolidated monitoring, management and operation of China Mobile’s networks. OVH, the leading web hosting in Europe with more than 140,000 physical servers online, will deploy the Infinera DTN-X platform to interconnect its data centers via its pan-European network. The OVH pan-Eureopan network links data centers throughout 10 major European cities in seven countries. Infinera said its platform was selected for its ability to provision large amounts of bandwidth very quickly. The Infinera DTN-X enables long-haul 500 Gbps super-channels across the optical transmission network. I also offers integrated OTN switching, enabling efficient utilization of long-haul capacity while at the same time enabling OVH to rapidly deploy large amounts of optical bandwidth for customer services. OVH first selected Infinera’s Digital Optical Network in 2007, deploying the DTN platform for an international expansion across Europe. OVH is based in Roubaix, France. OVH is also expanding to Canada and the U.S., including a massive new facility on the outskirts of Montreal with a record capacity of 360,000 physical servers. The Montreal BHS data center is powered by a hydro-electric dam located just 300 meters from the building. OVH is known for building its own data centers and for building its own water-cooled servers. Key technology partners include Infinera, Cisco, Intel, vmWare, Kingston, Seagate, Level 3, T-Systems and tata. NETGEAR agreed to acquire Sierra Wireless' AirCard business, including customer relationships, certain intellectual property, inventory and fixed assets, for approximately $138 million in cash. Sierra Wireless expects to net about $100 million from the asset sale, after related liabilities, taxes, expenses, and funds held in escrow. Sierra Wireless' AirCard business supplies a range of data cards, dongles, and hotspots for 3G and 4G networks. The business has a 12 month trailing net revenue run rate of approximately $247 million through December 2012. Approximately 160 Sierra Wireless employees located primarily in Carlsbad, California and Richmond, British Columbia are expected to be integrated into NETGEAR's service provider business under Michael Clegg, Senior Vice President and General Manager of NETGEAR's service provider business unit. 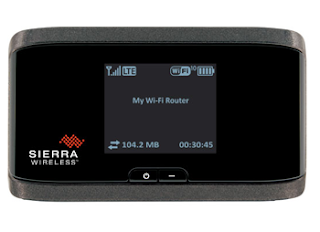 After the sale, Sierra Wireless’s retained business will include its AirPrime embedded modules for M2M and Mobile Computing, AirLink intelligent gateways and routers, and AirVantage M2M cloud product lines. Patrick Lo, Chairman and Chief Executive Officer of NETGEAR, commented, "We are excited to announce that we have entered into an agreement to acquire select assets of the Sierra Wireless AirCard business. We expect this acquisition will accelerate the mobile initiative of our service provider business unit to become a global leader in providing the latest in LTE data networking access devices. We believe that LTE network technology represents a huge market opportunity, especially in emerging markets and rural areas where high speed broadband Internet access is currently limited. This asset acquisition reinforces NETGEAR's commitment to develop innovative products for the next generation of Internet service providers"
NETGEAR also updated its financial guidance for Q4 2012, saying it now expects net revenue of $305 million to $310 million and non-GAAP operating margin within the 11% to 11.5% range, both of which are within the previous guidance. Taiwan's Chunghwa Telecom has selected NEC to construct the Taiwan Penghu Kinmen Matsu No.3 (TPKM3) Submarine Cable system, a high-bandwidth non-repeater optical submarine cable that will link Taoyan (North Taiwan) with Matsu and Tainan (South Taiwan) with Kinmen through Penghu. The TPKM3 cable system will span 510 km. Gigamon is introducing a new high density 40Gb blade, the GigaPORT-Q08, for the GigaVUE H Series Chassis. 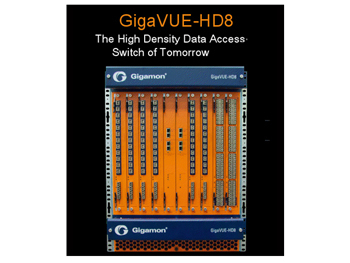 Gigamon's flagship GigaVUE H Series can handle up to 2.5 Tbps of monitored traffic, delivering it intelligently to the appropriate application, security, or performance management systems. The new GigaPORT-Q08 blade enables 40Gb scalability in dense data center network architectures, whether end-of-row (EoR) or top-of-rack (ToR) deployments. 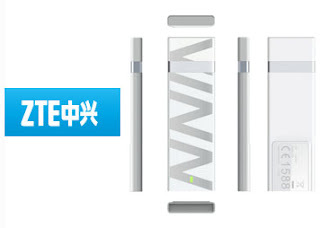 Gigamon said its new GigaPORT-Q08 blade offers line rate performance and connectivity with eight 40Gb ports. This allows the new blade to quadruple the 40Gb connectivity density of the GigaVUE H Series while providing high-speed traffic ingress from SPAN ports, inter-node stacking and aggregation uplinks at up to 40Gb. The blade also supports direct-connection to monitoring, management and security tools. It can also aggregate multiple links with a GigaVUE-TA1 traffic aggregation node, which consolidates multiple low utilization links into "gateway" ports. This aggregation takes place at the top of each rack and then sends the traffic through the 40Gb ports into the GigaPORT-Q08 blade in a GigaVUE H Series Node at the end of the row, resulting in a consolidated and efficient visibility architecture. "As enterprises and data centers respond to the ever-increasing volume of network traffic and the need to effectively and efficiently manage their environment, they look to Gigamon for a scalable, pervasive, and intelligent monitoring infrastructure. The new 40Gb solution delivers the next wave in higher density deployments, while also enabling pervasive traffic visibility for monitoring, management and security tools for both physical and virtual networks," said Huy Nguyen, Sr. Director of Product Management at Gigamon. 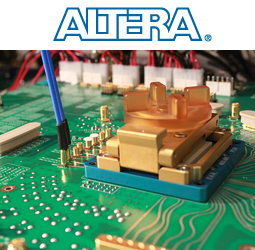 Altera has supplied its 28nm Stratix V GT FPGA to JDSU for volume production of the company's next-generation Optical Network Tester (ONT) solutions. JDSU's ONT-600 platform is a multifunctional and multiport solution for testing OTN environments. The interchangeable Stratix V GT FPGA-based plug-in modules within the ONT-600 family provide customers flexibility by enabling a single platform to support multiple technologies, including Ethernet, OTN, jitter/wander, SDH/SONET, VCat, GFP, Fibre Channel and 40G/100G CFP. Altera's Stratix V GT FPGA integrates 28.05 Gbps transceivers monolithically. The FPGA supports backplane, optical module and chip-to-chip applications through four 28.05 Gbps transceivers and 32 full-duplex, 14.1 Gbps transceivers. The ITU-T’s Study Group 16 has agreed first-stage approval (consent) of H.265 or ISO/IEC 23008-2, also known as ‘High Efficiency Video Coding’ (HEVC). The new video codec uses about half the bit rate of its predecessor, ITU-T H.264 / MPEG-4 Part 10 and is suitable for use in a range of applications, from mobile devices to Ultra-High Definition TV. The specification was developed by the ITU Video Coding Experts Group (VCEG) and the ISO/IEC Moving Picture Experts Group (MPEG). The new standard is designed to take account of advancing screen resolutions and is expected to be phased in as high-end products and services outgrow the limits of current network and display technology. Companies including ATEME, Broadcom, Cyberlink, Ericsson, Fraunhofer HHI, Mitsubishi, NHK, NTT DOCOMO and Qualcomm have already showcased implementations of HEVC. The new standard includes a ‘Main’ profile that supports 8-bit 4:2:0 video, a ‘Main 10’ profile with 10-bit support, and a ‘Main Still Picture’ profile for still image coding that employs the same coding tools as a video ‘intra’ picture. Broadcom introduced the latest version of its StrataConnect Series of switch system-on-a-chip (SoC) solutions for small-to-medium business (SMB) networks, combining Layer 2 and Layer 3 (L2/L3) switching, 16 GbE physical layer transceivers (PHYs), 10 GbE and high-performance central processing unit (CPU) onto a single piece of silicon. Broadcom said its latest StrataConnect silicon is designed for SMBs adopting cloud services and application requiring high-bandwidth and stringent security. The new StrataConnect Series includes advanced features for tighter security and application-based prioritization. The integrated CPU can scale processing power as necessary and includes added intelligence to enable cloud-based network management. In addition, advanced power management features deliver power savings that go beyond Energy Efficient Ethernet (EEE) to reduce energy costs. Four versions of the StrataConnect Series of switch SoCs are now sampling with volume production slated for 1H 2013. 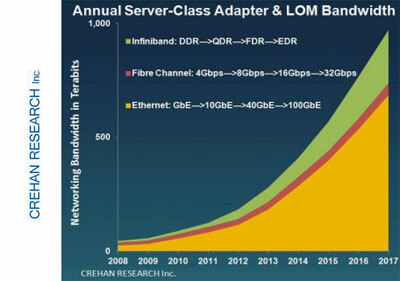 Server-class networking bandwidth will see a five-fold increase by 2017, exceeding 900 terabits in that year as data centers continue to increase network capacity to keep up with traffic demand, according to Crehan Research’s latest Server-class Adapter & LAN-on-Motherboard (LOM) Long-Range Forecast Report. The bandwidth increase is enabled by technology upgrades from 1 Gbps Ethernet (GbE) to 10Gbps Ethernet (10GbE), from 8Gbps Fibre Channel to 16Gbps Fibre Channel, and from QDR Infiniband to FDR Infiniband. The transition to 10GbE is expected to account for more than 60 percent of the total bandwidth by 2014 – the year in which Crehan Research forecasts that 10GbE server-class adapter and LOM shipments should overtake GbE. "Even without a very high attach rate of 10GbE LOMs on volume enterprise rack servers due to the current high 10GbE Modular LOM end-customer price premiums, there is enough volume on alternative server platforms such as Cloud, Blade and High-end servers to drive the 10GbE transition within a couple of years,” said Seamus Crehan, president of Crehan Research. “Furthermore, with the default inclusion of a four-port GbE Modular LOM on many Romley-based volume enterprise servers, the native Ethernet networking bandwidth (and number of ports) on these servers has been doubled at no additional price to customers," Crehan added. As a result, the Crehan report shows GbE has continued to grow while 10GbE has grown much more rapidly, leading to very healthy combined Ethernet port growth. The total worldwide wavelength division multiplexer (WDM) market revenue is forecast to grow at a ten percent compounded annual growth rate (CAGR) over the next five years, reaching $13 billion in 2017, according to a newly released Optical Transport forecast report by Dell'Oro Group. "Forty and 100 Gigabit is really where the growth is going forward," said Jimmy Yu, Vice President of Optical Transport Market Research at Dell'Oro Group. "Demand for 40 and 100 Gbps WDM wavelengths will drive the optical market's growth for the next five-years. We are finding that the demand for 100 Gbps wavelengths is especially strong as service providers continue to expand their network capacity. We currently predict 100 Gbps wavelength shipments to grow at a 75 percent CAGR over the next five years, and that by 2017 approximately 60 percent of the WDM capacity shipments will be with 100 Gbps wavelengths," added Yu. 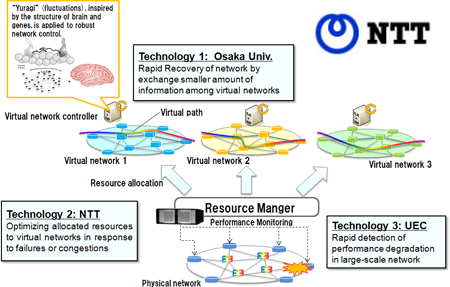 NTT, along with Osaka University and The University of Electro-Communications, are developing virtualized network control technology to provide rapid recovery from unexpected disaster or severe network congestion. As cloud computing gains traction, it is increasingly the case that multiple network services share the same physical infrastructure. In order to ensure business continuity in the event of a widespread outage or sudden spike in traffic, network operators need the ability to rapidly and autonomously reconfigure routing and topology. NTT and its university partners have developed a biologically-inspired "Yuragi" (fluctuations) algorithm for virtual network control. The technology will be demonstrated in February at an event sponsored by Japan's National Institute of Information and Communications Technology (NICT). The FCC announced new actions as part of its Broadband Acceleration Initiative to remove barriers to broadband build-out, including streamlining the deployment of mobile broadband infrastructure, such as towers, distributed antenna systems (DAS) and small cells. The actions include the clarification of rules regarding local review of requests to modify an existing wireless tower or base station. The FCC said this new provision will help to accelerate deployments and create greater certainty and predictability for network operators. The FCC is also clarifying rules regarding the placement of temporary cell towers – cells on wheels (COWs) and cells on light trucks (COLTs). small cell deployment; examine whether current application of the tower siting shot clock offers sufficient clarity to industry and municipalities; and begin developing model facility siting rules for localities. must continue to adapt," stated FCC Chairman Julius Genachowski. 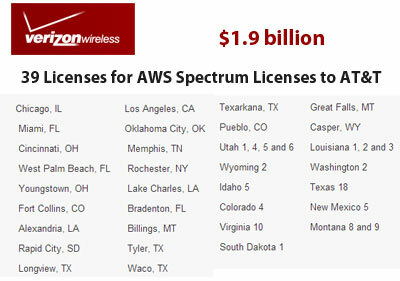 the sale of 39 lower 700 MHz B Block licenses to AT&T in exchange for a payment of $1.9 billion, and the transfer by AT&T to Verizon Wireless of AWS (10 MHz) licenses in Los Angeles, Phoenix, Fresno, Portland, Oregon and other smaller market. the sale of lower 700 MHz B Block licenses covering the Charlotte, Greensboro and Raleigh-Durham markets in North Carolina to Grain Management, a Sarasota, Florida-based private equity firm that invests in the telecommunications sector, in exchange for a payment of $189 million. Verizon Wireless will lease from Grain Management an AWS license covering Dallas, Texas, which Grain is acquiring from AT&T. Previously, Verizon Wireless has sold or agreed to sell 35 of its 77 lower B block licenses to 10 different entities, including transactions that were initiated prior to the sale process. The company also noted that its LTE in Rural America program has signed leases covering the upper 700 MHz C block spectrum with 20 rural operators to jumpstart the delivery of 4G LTE in rural areas. 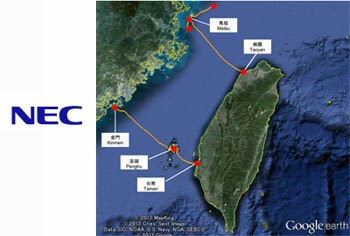 KT has selected Tekelec's Policy Server (PCRF) for its LTE and 3G networks. Tekelec's Policy Server will support KT’s new Voice over LTE (VoLTE) offering, LTE data plans and Rich Communication Suite (RCS) service. It will also be used for daily and monthly quota tracking for a variety of services, including voice, Internet usage, file transfer, instant messaging, and video telephony. The daily tracking will give KT new flexibility to offer per diem packages and service options across 3G, LTE and RCS services. Anite has validated the first GCF (Global Certification Forum) TD-LTE/TD-SCDMA Inter-RAT (Inter-Radio Access Technology) test cases. The company now supports all of the GCF LTE protocol test requirements for TD-LTE mobile operators. Anite said its TD-LTE/TD-SCDMA Inter-RAT conformance test cases enable chipset manufacturers and handset vendors to develop and certify dual-mode TD-LTE/TD-SCDMA devices, thus accelerating the launch of dual technology (TD-LTE and TD-SCDMA) handsets in China.